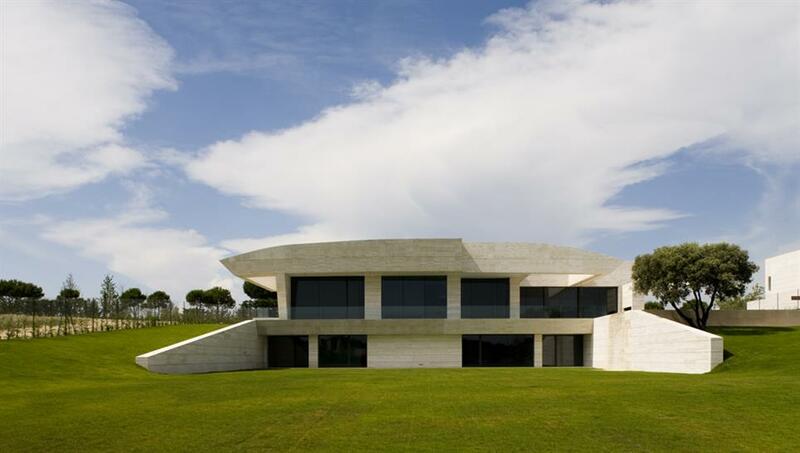 The Spanish firm A-Cero, run by Joaquín Torres with partner architect Rafael Llamazares, presents this home on the outskirts of Madrid, in the town of Pozuelo de Alarcón. The inspirational block is built with marble, studying the placement of the stone with respect to curved shapes and edges. 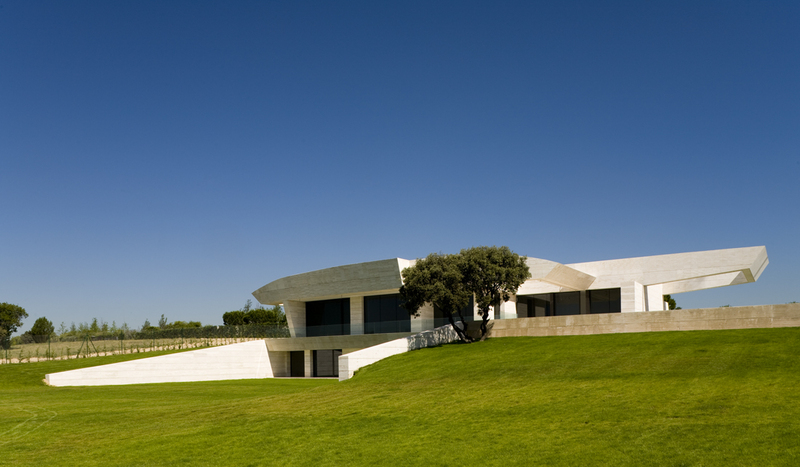 Notable side cantilevers provide weightlessness to the building. 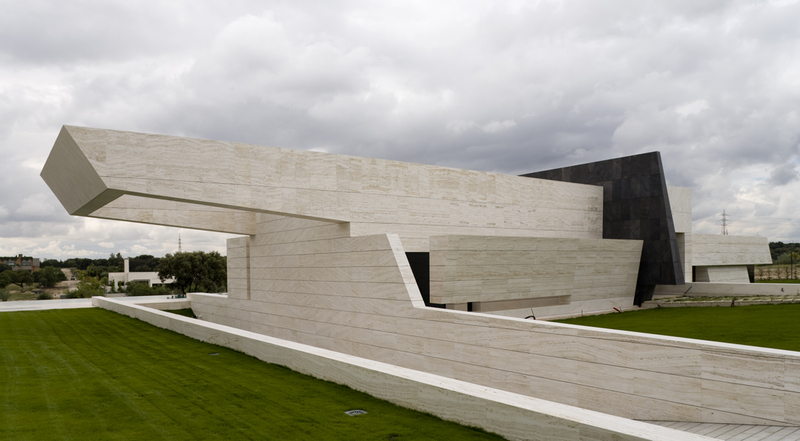 At the main entrance, dark vertical granite stone contrasts with the predominant clear granite in the façade. The windows are large facilitating a flood of light into the house into the ground floor hall, kitchen and service room, and in the lower basement level light enters from windows leading to a garden created by a the gap in the topography of the plot. Here lie the intimate areas, space for sleeping and leisure. Meeting the client’s needs, high quality materials and finishes were executed throughout.